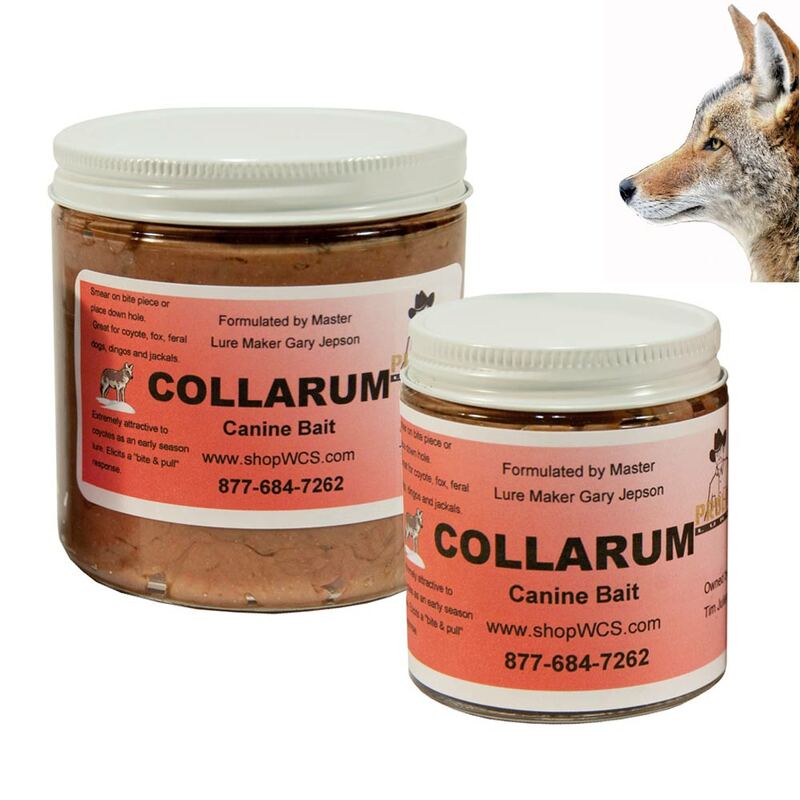 Collarum Canine Bait (CCB) causes an excellent "bite & pull" response from all canines, which is necessary for activating the Collarum. Originally developed as an M44 bait, CCB also is an excellent performer at grub stakes, walk throughs, and dirt hole sets. As an added bonus we have found this canine meat-based food bait to be an excellent spring skunk & raccoon bait.